Get crafty! Add texture and create piecey or out-of-bed looks for all day De-Constructed style that looks done-yet-undone. Get touchable control and a subtle, satin finish that is non-tacky, not stiff or too coated. 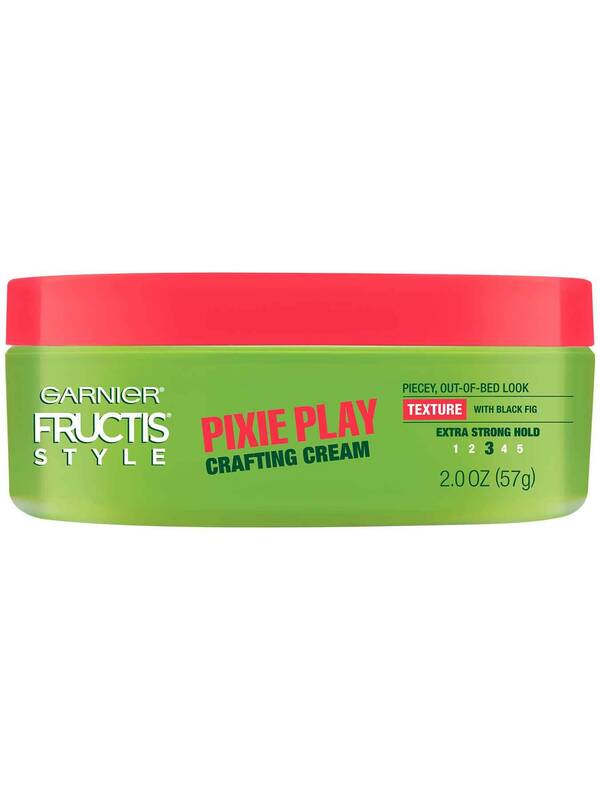 Garnier Fructis Style Pixie Play Crafting Cream, with black fig, is a unique silky, sheer-texturizing paste that gives short hair definition and control without clumping hair or leaving it too slick or too shiny. Scoop dime-size amount and apply to the ends or throughout damp or dry hair. Create movement and texture by placing hair in multiple directions. Rated 5 out of 5 by maritzae4c from BEAUTIFUL!... absolutely fabulous! This product is the very best... Finally! Love, love, LOVE! Get it, youll love it too!!! Beautiful packaging! A MUST HAVE! Highly recommend! Perfect product for everyone! Rated 4 out of 5 by brandir7 from Loved this when my hair was short! Would always use this to spike up my pixie or slick it back. It does feel super thick and can clump up on hair if you use to much. Didnt bother my scalp and washed out well! Would definitely use again! Rated 5 out of 5 by valentinaa1ae5 from I think this product works very well to style my hair. 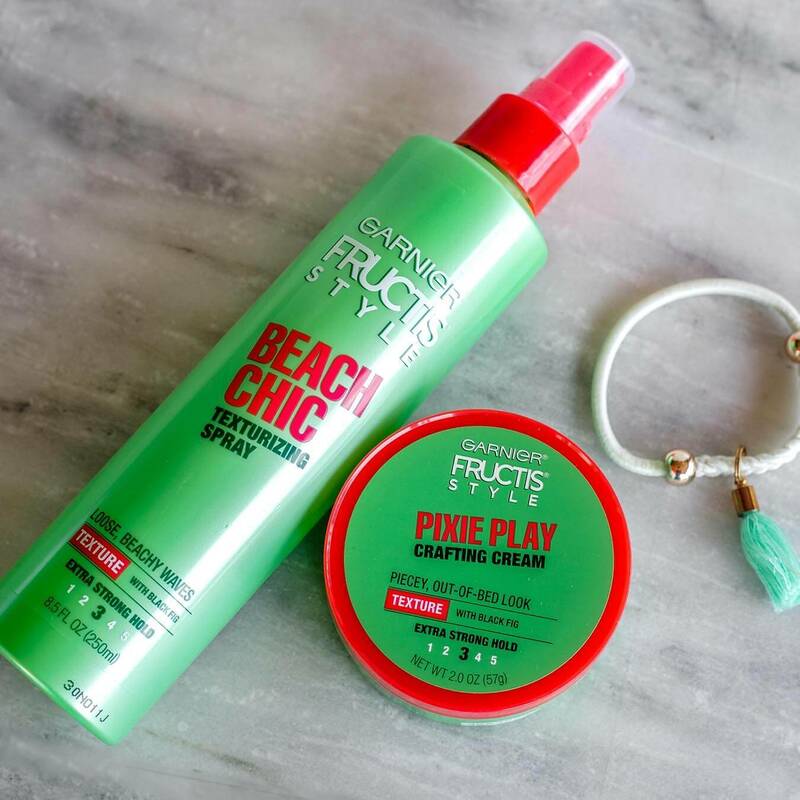 This pixie play is a medium hold, but holds strongly the hair. The formula with black fig, smells pretty good. I don't wear crafting cream all days, just a few times year. This product id good, affordable and i recommend. Rated 5 out of 5 by tashay1ee0 from I actually use this for my son and it works really well on his hair. He looks so cute and it stays. It doesn't make his hair feel or look greasy and it smells wonderful. He loves for me to put it in his hair too. I don't think there is much room to improve the product. Rated 4 out of 5 by melissa_deburro from I like the pixie play it’s light not like a wax. 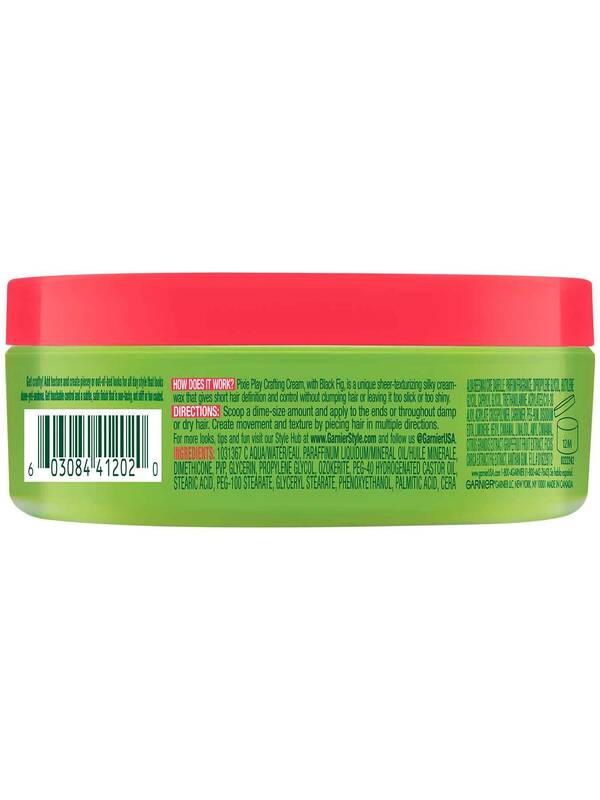 It work well with my processed hair doesn’t leave it looking dull but volume with texture.